Holiday Concerts at the Rhode Island State House Are About to Begin! When the holiday season is upon us the musical talents of Rhode Island school musicians are showcased as part of a musical celebration of the holidays in the Rhode Island State House. 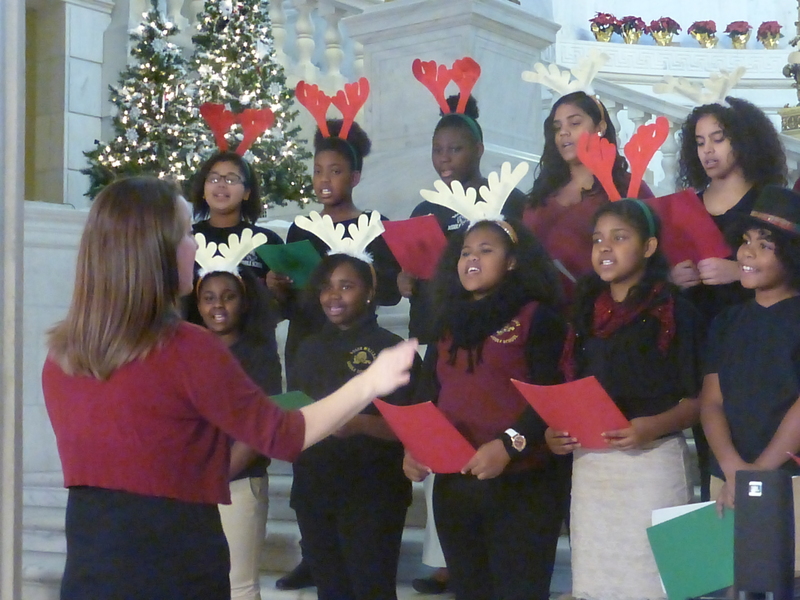 “We’re pleased to be continuing this holiday tradition of student performances at the Rhode Island State House,” said Randall Rosenbaum, Executive Director of the Rhode Island State Council on the Arts. “Over 3,300 student musicians from fifty-nine schools throughout the state will perform at the Rhode Island State House in a special series of musical performances.” The concert series starts on Tuesday, November 27th and runs through Friday, December 21st. The concert series, organized by the Rhode Island State Council on the Arts, will feature music of the season, performed by students from schools throughout the State of Rhode Island. The performances are all in the Rhode Island State House. 2018 Holiday Concerts flyer featuring all of the concerts in chronological order.